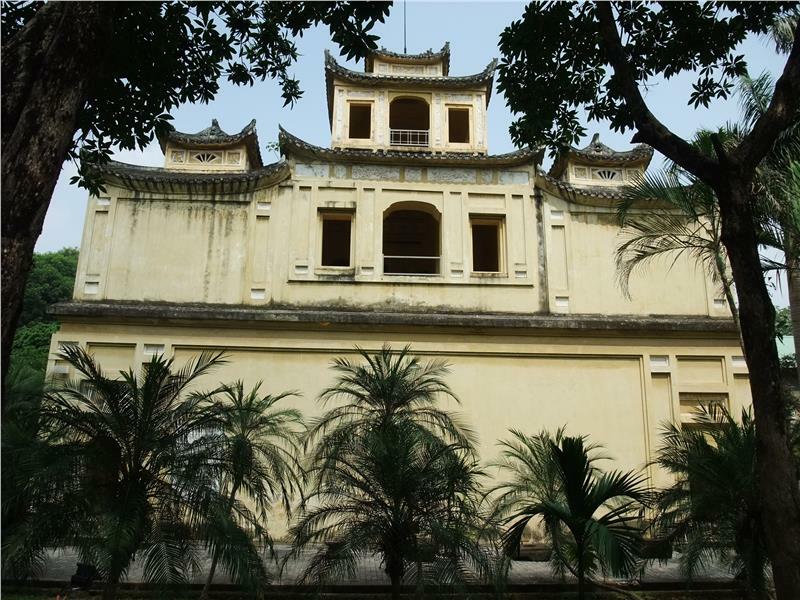 Imperial Citadel of Thang Long is home to restore the remains of a senior architectural ensemble having existed for more than 10 centuries. 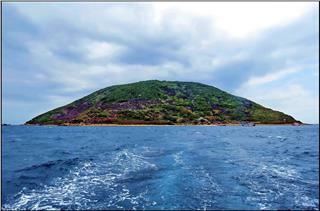 The revolutionary historic and archaeological relics have turned it into the cultural heritage of the country. 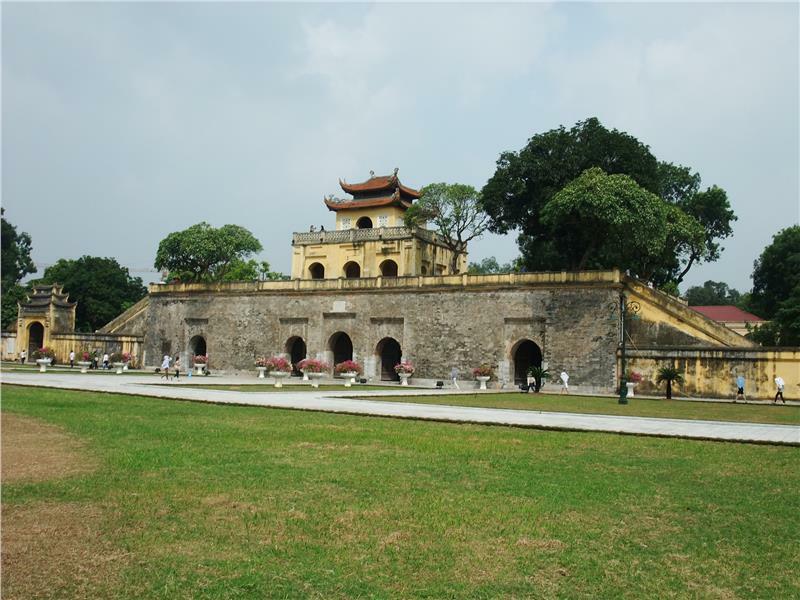 Imperial Citadel of Thang Long is the complex of relics attached with the history of Thang Long Citadel - Hanoi from pre-Thang Long through Dinh - Pre Le Dynasty, thriving under Ly, Tran, Le Dynasty and Hanoi Citadel under Nguyen Dynasty. This was the massive architectural works built through many periods of history by the reign of Emperors and became one the most important monuments in the system of relics in Vietnam. 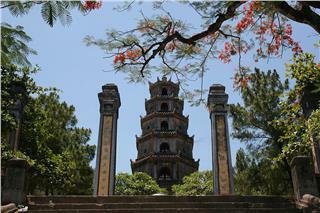 In 2010, the ruins of Imperial Citadel of Thang Long Vietnam was recognized as the World Cultural Heritage by UNESCO. 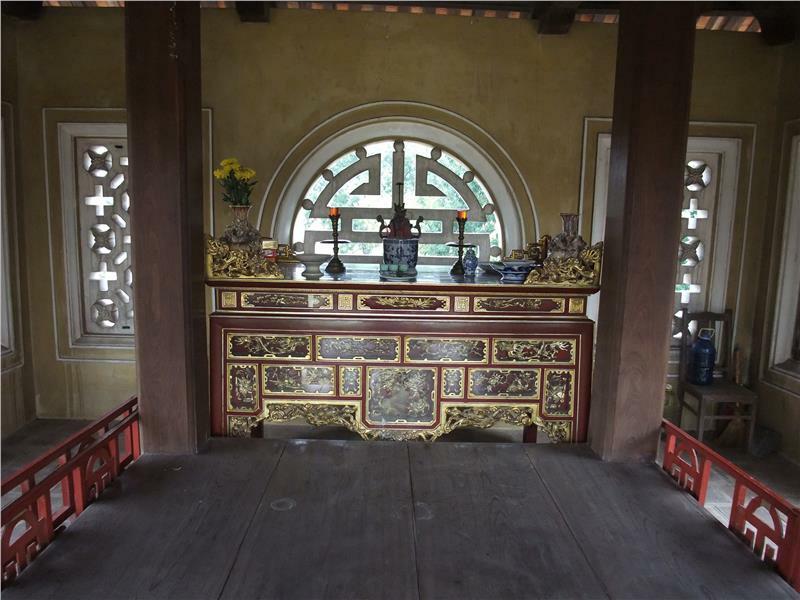 Imperial Citadel of Thang Long thereby gradually becomes one of the most attractive tourist attractions in Hanoi alluring the great number of both domestic and international tourists. 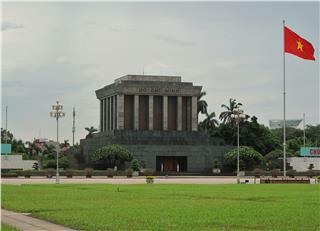 The relics of Center Sector of Imperial Citadel of Thang Long - Hanoi city retains a total area of 18,395ha including18 Hoang Dieu archaeological relics and remains in ruins of Hanoi Citadel such as Hanoi Flag Tower, Doan Mon, Kinh Thien Palace, House D67, Hau Lau, Bac Mon, walls surrounding and 8 entrance gates of Nguyen Dynasty. This relics is situated in Ba Dinh District and limited by Phan Dinh Phung street to the north, Bac Son street to the south, Hoang Dieu street, Doc Lap street and National Assembly Building to the west, Dien Bien Phu street to the southwest and Nguyen Tri Phuong street to the east. 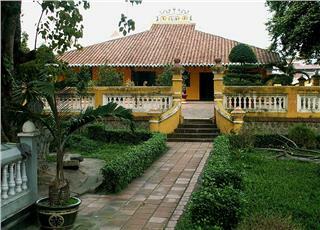 Discovering Imperial Citadel of Thang Long is definitely one of the most unforgettable things to do in Hanoi. More than 10 centuries ago, when moving the capital from Hoa Lu (Ninh Binh) to Dai La Citadel, King Ly Cong Uan (Ly Thai To) built Thang Long Citadel right on the foundation of old Dai La Citadel. Thang Long Citadel consisted of 3 rounds: the outer one was called La Thanh or Citadel, the second one (in the middle) was Imperial Citadel - home to the residence and workplace of the court officials and the last one was Forbidden Purple City - the place only for kings and queens. 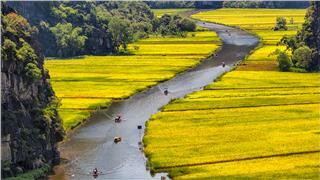 Undergoing over 1000 years, ancient Thang Long Citadel and Hanoi today has witnessed numerous changes of the feudal dynasties. 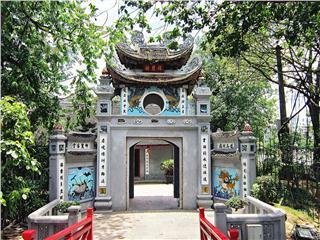 Though wars destroyed and buried many artistic architectural works, traces of Imperial Citadel of Thang Long have been existed so far. 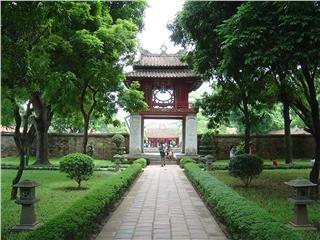 It is the unique characteristic has turned Imperial Citadel of Thang Long into one of most impressive Hanoi attractions alluring tourists. 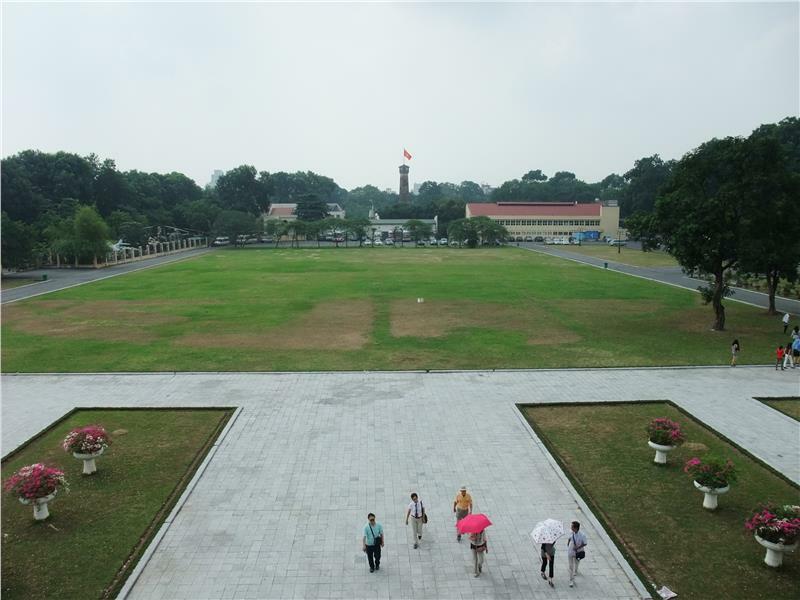 The center of the imperial citadel still remains the shadow of the square-shaped ancient citadel which was built in Nguyen Dynasty in 1835. 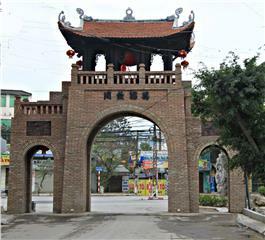 The names of the entrance gates of ancient citadel have been used to call the streets around the imperial citadel such as Cua Bac (North Gate), Cua Nam (South Gatre), or Cua Dong (East Gate)... 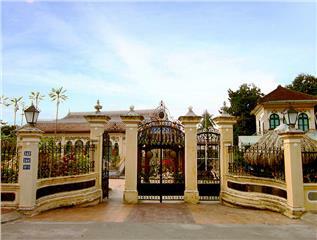 Although no longer of the palace, there are still some monuments along the central axis of the imperial citadel, namely Doan Mon Gate, Kinh Thien Palace or Hau Lau. In particular, the citadel gate in the north (usually known as Cua Bac as today) along with walls of Hanoi Citadel have been fairly intact. A prominent monuments of the architectural ensemble is Hanoi Flag Tower built in pyramid shape with the height of more than 33 meters robustly remaining over time. 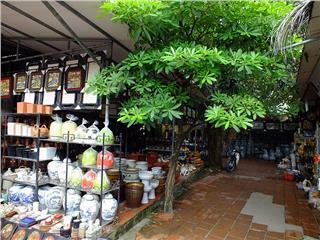 The journey of exploring Hanoi tour will be definitely much more memorable when tourists once set foot on Imperial Citadel of Thang Long. 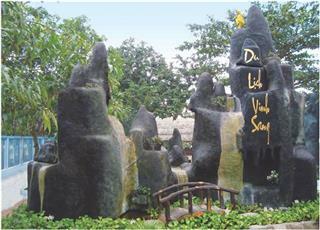 Notably, scientists discovered the large number of extremely valuable monuments, archaeological remains in Imperial Citadel of Thang Long in 2010. This is the scientific evidence confirming that Imperial Citadel of Thang Long is continuously the capital center of many feudal dynasties in Vietnam. 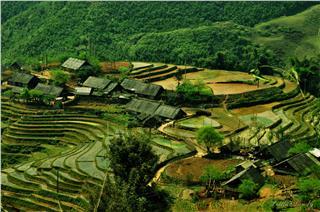 Along with the unique architectural monuments, tens of thousands of artifacts were partially reconstruct the historical process stretching from 17th century to 19th century throughout the dynasties, namely Ly, Tran, Mac, Le and Nguyen. 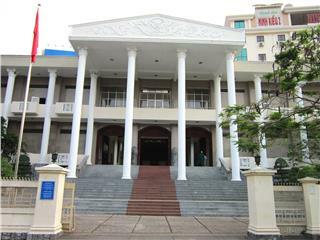 On 1st August 2010, the relics of Center Sector of Imperial Citadel of Thang Long Vietnam was recognized as World Cultural Heritage by UNESCO based on 3 prominent criteria: the excellent proof on long-lasting cultural exchange; the convergence of receiving many cultural influences from outside to build up the unique and creative characteristics of political, economic, cultural center of the nation; the evidence on long-standing cultural tradition of Vietnamese people in Red River Delta over the historical periods retaining exchange relationship with the region and over the world. Thanks to the event, Imperial Citadel of Thang Long deserves a new choice in the journey of exploring Hanoi travel strongly attracting tourists. Owning enormous values on the history and culture throughout the length of more than 1000 years, Center Sector of Thang Long Citadel deserves to be honored as world cultural heritage in Vietnam. 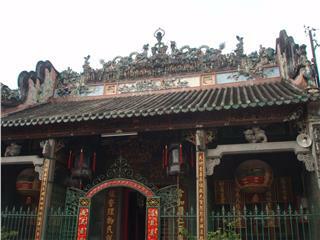 Many unique cultural and artistic features formed at Thang Long has promoted Imperial Citadel of Thang Long to emerge as one of the Vietnam's largest cultural heritages retaining international stature. 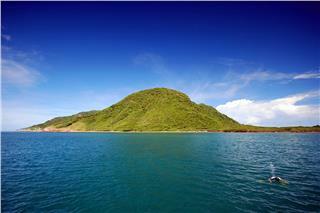 It is the pride of not only the people of the capital but also all Vietnamese people. 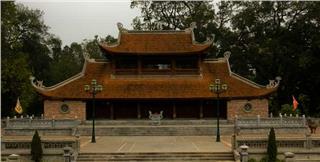 Imperial Citadel of Thang Long thus displays its significant contributions in promoting Hanoi tourism closer to both domestic and international tourists. 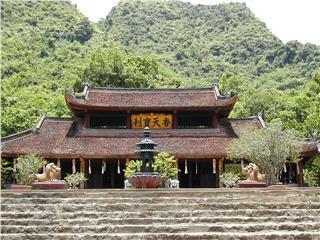 Perfume Pagoda, a complex of temples scattering from the foot to the peak of Huong Tich Mountain is one of the alluring spiritual tourist attractions in Hanoi. 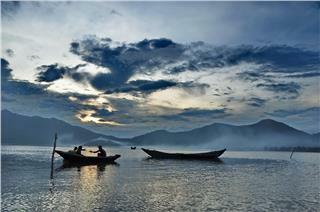 Go to Perfume Pagoda to feel the harmony between the nature and the people here. 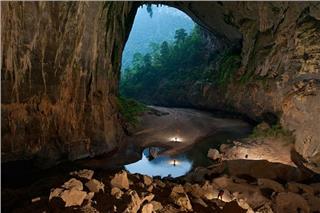 Thanks to immense primitive forest and spectacular natural scenery, Hang En Cave is becoming an impressive attractions in Phong Nha - Ke Bang. 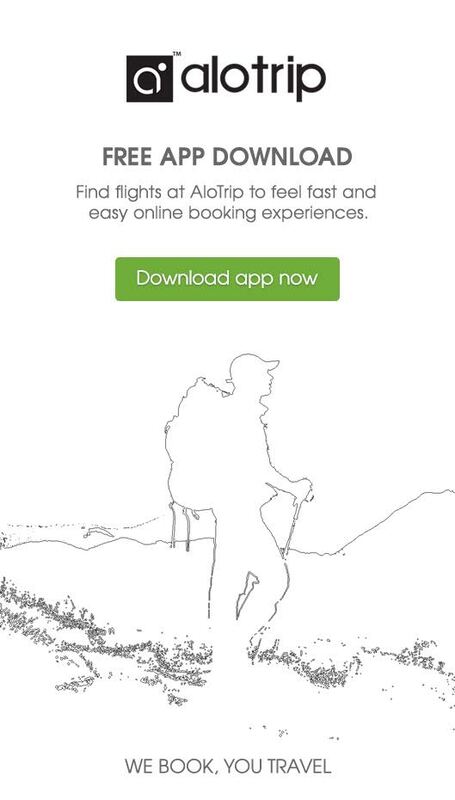 Tourists once setting foot on here will actually get unforgettable experiences. 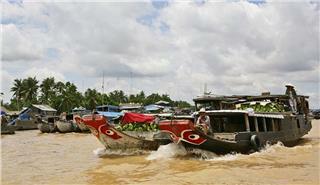 Can Tho Market is an ancient one in Can Tho City. 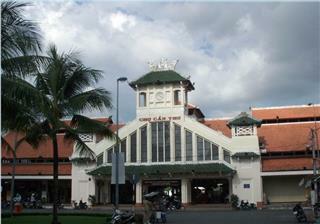 It is one of markets in Mekong River Delta having the most beautiful architectural style. 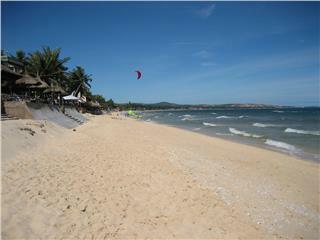 Besides, the market is famous for selling various, fresh agricultural products, and other appealing items. 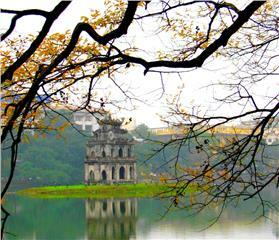 Being prominent in the middle of Hoan Kiem Lake, Ngoc Son Temple was built on a small island in the north of the Lake. 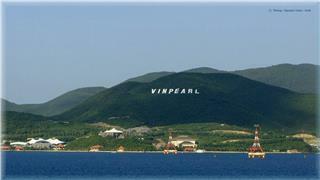 Very few people know that the Temple experienced many periods to preserve the special and ancient beauty as today.